We'll help you save on Perth Insurance! Part of the Economical Insurance Group , Perth Insurance Company provides drivers and homeowners with high risk insurance coverage options. Whether you have had one too many accidents, have a number of claims on your record or you have had other insurance related issues, Perth provides you with variety of insurance products through independent insurance brokers. Serving most of Canada, Perth offers insurance to residents in Alberta, British Columbia, Manitoba, New Brunswick, Newfoundland and Labrador, Northwest Territories, Nova Scotia, Nunavut, Ontario, Prince Edward Island, and Yukon. Perth Insurance is a leading high risk auto insurance and high risk home insurance company in Ontario and Canada. Perth provides you with the opportunity to improve your auto insurance and home insurance records. If you have insurance issues or have been labelled high risk, then consider Perth. Excellent Claims Services Through Economical : All of your insurance claims needs will be handles through Economical. Competitive Rates : Get access to competitive home and car insurance rates, regardless of your current insurance situation. Monthly Payment Plans : You have access to monthly insurance plans to pay for your insurance coverage. Seamless transfer to Perth : If you are already an Economical customer, you will be able to seamlessly transition to Perth for your high risk insurance needs. 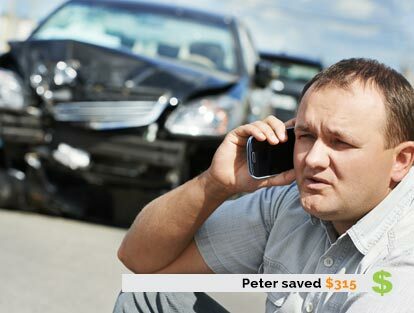 Whether you’ve had multiple claims, have multiple tickets, or even a conviction or two, Perth provides drivers with auto insurance who have been labelled high risk with reliable coverage at competitive rates. Using a risk point system, they determine your eligibility for high risk insurance coverage. Home insurance : Named perils, broad form, and comprehensive, up to $600K. Condo insurance : Named perils and comprehensive coverage up to $250K. Tenant insurance : Named perils up to $50K. Seasonal dwelling insurance : Named perils and broad form up to $350K. Rental property insurance : Fire and extended coverage up to $500K. 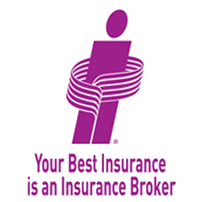 Contact us today toll-free at 1-855-550-5515 and a ThinkInsure Broker will answer any questions you have about Perth Insurance or get you a quote. Offices of Perth Insurance Company: Suite 1500 – 5255 Yonge Street in North York, Ontario.